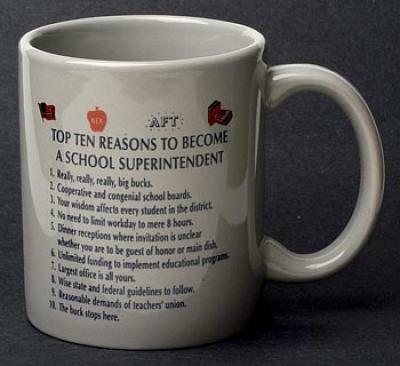 Top Ten Reasons to become a Superintendent mug. 10 oz. ceramic dishwasher safe mug. Gift box included.